The entire text and photographs of this book are published here with the kind permission of the author’s granddaughter, Kathleen Crow. References to page numbers are to the original printed book, and not to these web pages. You can use your browser’s Find function to find the relevant mention. I have been researching my family history and have looked at your community web-site and just wanted to say how impressed I am with the information. It is extremely detailed and most helpful. 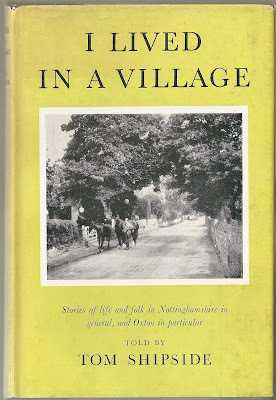 My father was Charles Reavill and he was born at Cherry Tree cottage. Later he worked at Oxton Hall. I was particularly interested in Chapter 3 – chapels- because I have heard that JAMES Reavill, the preacher, was related in some way to my father. There seem to have been many Reavill’s in the area!! My father eventually moved to Ruddington after marrying my mother who also worked at Oxton HALL. I was born there but have lived in Hampshire for more than 40 years. However I have visited Oxton and found CHERRY Tree cottage. I still have a lot of research to do and no doubt I will be back in Oxton at some point. Again thank you to all those who have worked so hard to produce such excellent information. We received the above message as an email and Susan Sykes agreed we could publish it.